â™¥Guest Postâ™¥ It looks like we love baby’s products here at Viva Woman! 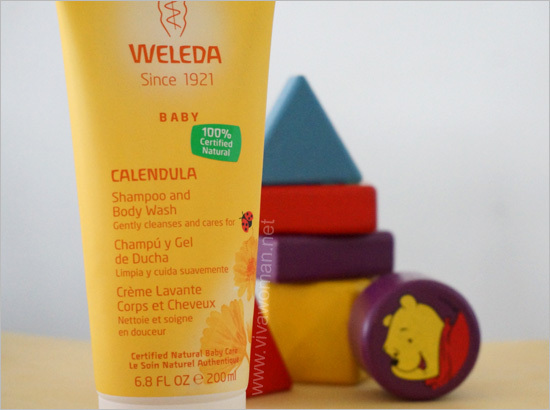 Here’s another rave and this time, it’s a guest review from Crystal of Watermoolen on California Baby Calendula Cream, a baby product that adults can also use. 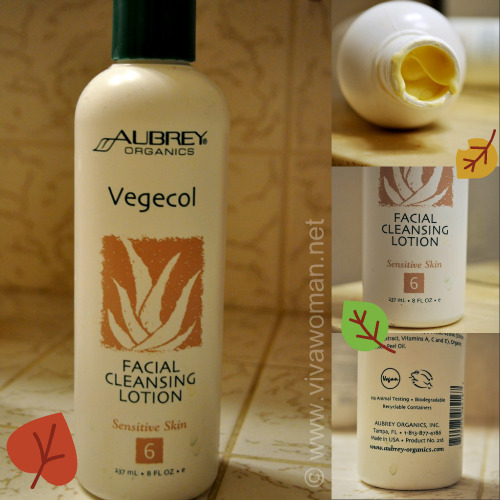 I’m very careful about choosing products for my face as I have acne-prone and sensitive skin. I had to do some research before I discovered California Baby Calendula Cream. Calendula is a flower (also known as pot marigold) that helps soothe the skin. You can find this cream at the baby aisles in Target for US$11.99. Although this cream is recommended for babies, kids, and adults suffering from eczema, anyone can use this for a good pick me upper. 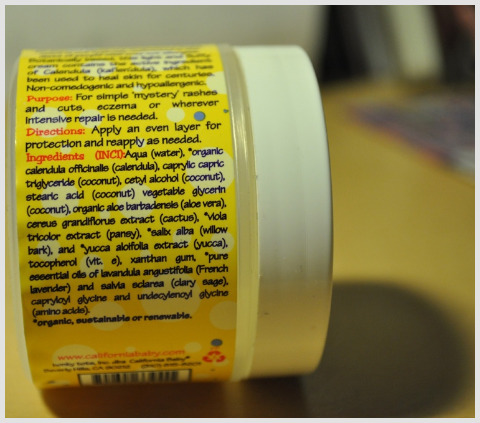 Although the cream doesn’t contain completely organic ingredients, the company helps identify which ones are actually organic by placing an asterisk next to the ingredient. Out of the 16 ingredients listed, calendula, aloe vera, pansy, willow bark, yucca, and lavender are organic. Calendula acts as an anti-inflammatory agent which helps soothe any skin disease you have – especially in the realm of acne and eczema. Added with the organic willow bark (this is known as the natural agent for the synthesized salicylic acid found in acne products) and aloe vera, you will get the added benefits to treat any skin. It’s a cream based formula in a thick, white colour. It’s suitable for all skin types but I find that when my skin is dry (during the wintertime), the cream can be hard to apply. Since the cream is natural and organic, it might take longer to apply all over your face as opposed to synthetic formulas. 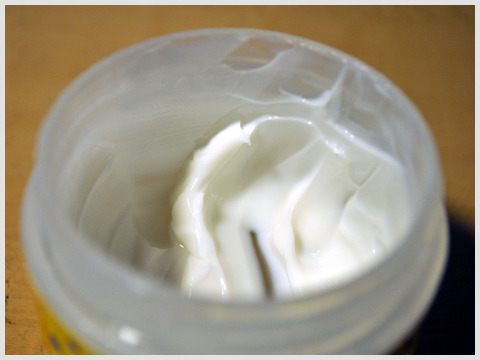 Add a few drops of jojoba oil or olive oil to the cream for speed of application. Once applied, I feel a tingly sensation – not the burning kind, but an aroma-therapeutic kind. No wonder because the product claims to be “aromatherapy,” too! I feel a bit more relaxed after applying it on. The cream has no added synthetic scents, which I love! I like to purchase fragrance-free formulas as fragrance does nothing to the face, and if you have sensitive skin, the synthetic fragrance can irritate your skin furthermore. The scent has a strong lavender smell which I found it very surprising when I first used it. The smell is an acquired scent so you may have to get used to it after a few tries. 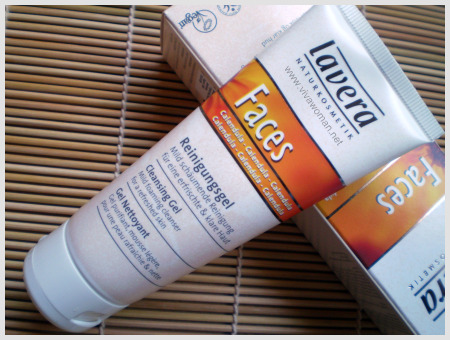 What it means is that this product will not clog pores and it’s suitable for those who have sensitive skin. It can be applied towards the face and body, and you won’t need to worry about breakouts. I had no breakouts or irritation during the two years I’ve used this product. A great way to soak your skin with some of these organic goodies is to use this as a nighttime cream. I do not recommend this during the daytime because it is quite heavy and it may make your face look greasy. Again, this can be used for anyone (male/female/kid/adult)! 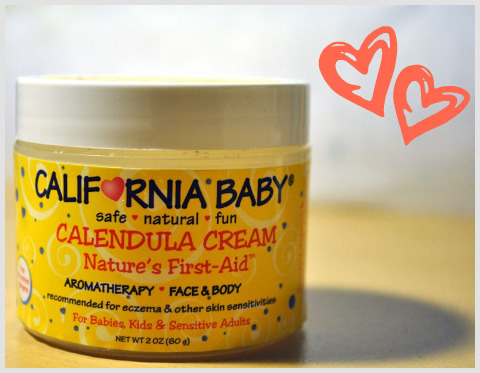 To find out where to get California Baby Calendula Cream in US, please visit their website. In Singapore, you can find the product at various organic stores selling baby products. It is also available at some of the major Watsons’ outlets for about S$30 a tub. Try your hands at beauty blogging by writing a guest post for Viva Woman. All links are nofollow. If you're interested, apply to blog editor at: vivawoman[at]gmail[dot]com. wow! I might look into this cause it will save me alot of time – baby and mommy cream in 1 bottle! Yeah, it’ll be great if it works for you and your baby. Hi Viva Woman 🙂 have you tried the product? what are your thoughts? Hi Hanns: I haven’t tried this but I’ve heard of raves from moms who have used this. It sounds like a good product for those with sensitive skin. I used to get the California Baby shower gel for my boy too when he was much younger. It’s quite nice but if I remember correctly, the scent was a little strong. Currently we are using the Calming one with French Lavender and Sage. I’m using this cream for my baby. She used to get red dry bumps on her face, after applying this cream, the condition disppeared in a couple of days. Hence using it now, if she has rashes. Hubby likes this cream too, he applys for her whenever there’s any red spots on her. hmm..never thought of applying it on myself though. Its food for thought, i mean that tub of cream can last for a long time since she’s the only one using it. Good for red bumps? I should try it. I use Egyptian Magic Cream for my son though. 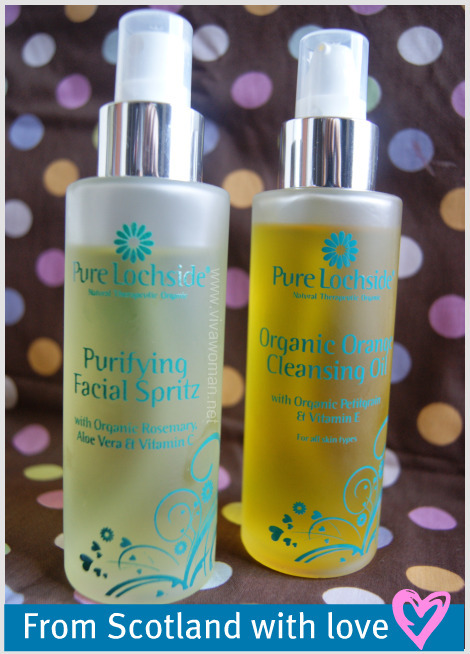 I’ve been looking for a more natural product to try on my face and for my youngest who has very sensitive skin. Definitely will be giving this a try. Bonus: 1 product for both of us! I hope you’ll both love it when you get to try this. I hope it’ll work for you. I’ve used this for 2 years for my 2 year old girl. On diaper rash, eczema, and other rashes in the face (milk rash, etc) and it works wonders. I usually get mine on a spree, and only pay $18/ tub. Oh I’ve read how moms are all raving about this. I haven’t tried this though but it seems like a great family product. A bestie of mine recommended this product to me as i have eczema problems on my arms… Just to check with you if Watsons still carries this cream? Besides Watsons, which other places could i go to get this cream? Yes, I still see it at most Watsons.